Water stores are part of the fast-growing water business worldwide and they are the lowest cost method to sell purified drinking water. Water Stores are a business with very low startup costs for anyone that wants to get into the water business. Water Business USA has experience with installing water stores for over 20 years and has over 600 stores worldwide. It is a very simple business to run and can easily be profitable. Why is there a need for Water Stores? Water stores fill the need for low cost safe drinking water that taste great. Most people in the U.S. will buy it because it tastes great or they do not trust the quality of water coming from their taps. There are several different options for safe, bottled drinking water. The first option is to buy bottled water from a store such as a grocery store, yet most times this ends up costing up to $5.00 a gallon for smaller bottles such as .5 liters. On sale, lower cost 1 gallon bottles of water will cost you about $1.00. People do not want to pay prices this high, which is what creates demand for water stores even in well-established areas. Another option is home delivery, but that costs on an average about $7.50 per five gallons of water or $1.25 a gallon. Some people do enjoy home deliveries, and with a water store it is possible to set up your own home delivery routes if you have a means of transporting the water to customers for home delivery. The water store will sell water for different prices depending on the location. In the Sunbelt areas of the U.S. the average price is 30-35 cents per gallon, which is due the large number of vending machines outside of many food stores. In many of the colder regions of the country it is sold for 50-70 cents per gallon. Many water stores are also selling alkaline for a much higher price of $1.00 to $3.00 per gallon. Many water stores also bring in additional revenue by selling bottles, crocks, coolers, and various general merchandise items. 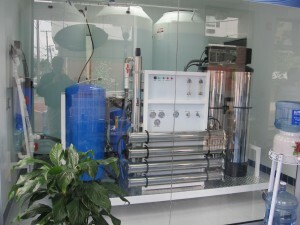 Water stores typically claim to sell purified water, which is water below 10 ppm of contaminants. This means that water stores actually sell a higher quality water than many other bottled water alternatives. Many types of bottled water contain much higher levels of contaminants, such as many bottled spring waters that contain 100 to 200 ppm of contaminants. Studies show that water stores often make the customer feel better about the water they are drinking, meaning that they feel the water is cleaner, because if the store is clean and well kept the customer makes this association towards the quality and cleanliness of the water. Keeping a clean and presentable store will attract customers and make them have a higher quality perception of your water versus the other alternatives for getting water. How will Water Business USA work with you? Water Business USA has over 20 years of experience in building water store equipment. We strive to provide the equipment and support you need to have a successful business. We work with you to design and layout the store to work in a proper manner and keep the cost low without sacrificing quality. We are the direct manufacturer of most of the equipment so we can make any customizations to the equipment that you desire. We also offer installation services to make sure your store is installed properly so that you can have a trouble free operation. Should you ever need a service on the equipment, Water Business USA also offers equipment service to ensure that your water store equipment is properly serviced and maintained. We like to see all of our customers succeed in creating a profitable business and will work closely with you through the entire establishment of the project to help facilitate this success. The equipment setup above is the most common setup for a standard water store, but keep in mind that other products can be used to meet your specific situation. We are happy to consult with you about your specific situation and the best solutions to your needs. All of our systems are custom built upon order to ensure that your system meets all of your requirements. For more information feel free to call us at (760) 744-4800, email us at info@waterbusiness.com, or use the request info button in the menu bar. We encourage you to talk to us about your potential water store and we can provide you with more information about all the key considerations when opening a water store. Water Business USA can provide you information on successful water stores that use our equipment. 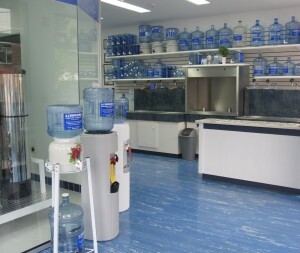 We are experts in water stores and look forward to helping you with all your water store needs!